Defeated Modernist Josef Albers easily in Round 1. Held off Renaissance sculpter Alessandro Algardi in Round 2. Defeated Sir Lawrence Alma-Tadema by a single vote in Round 1. Crushed American minimalist sculpter Carl Andre in Round 2. 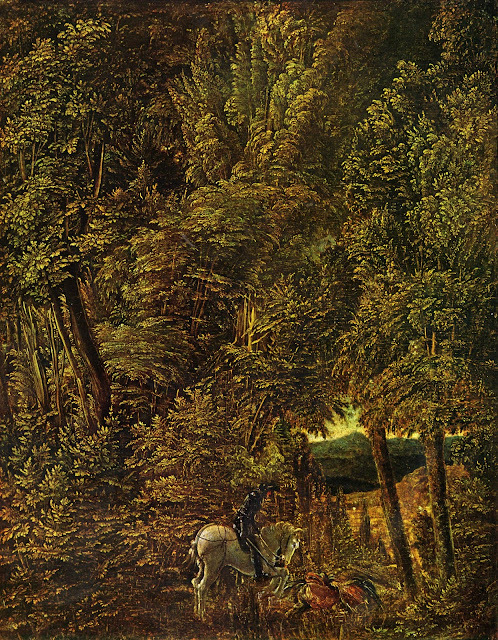 Altdorfer--I really like those kind of landscapes, cloudscapes...leafscapes? Altdorfer - I love the new one this time around. 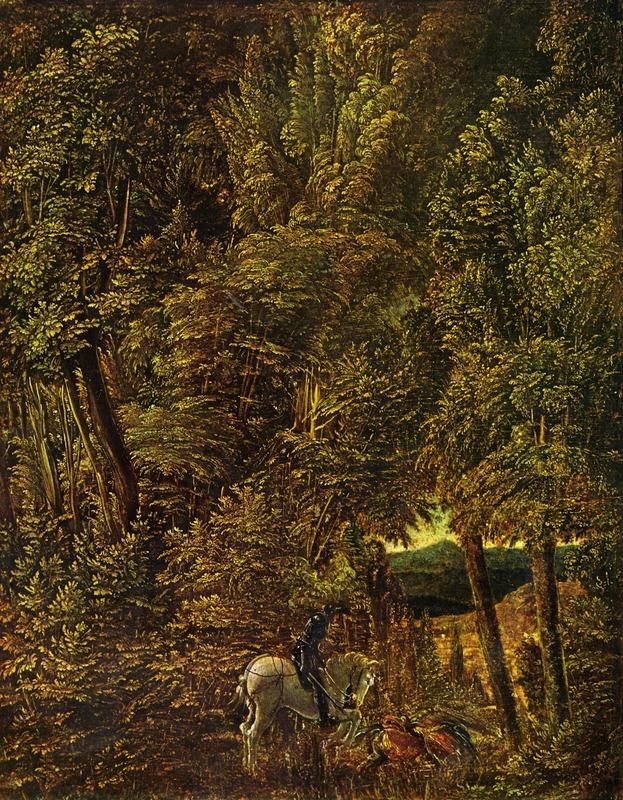 Yeah, Altdorfer. Sorry, picnicers, I've got to go for the glory here. That dude just drew a giraffe. Agasse … because of the animals. This was difficult, but I'm sticking with the kitties and voting for Agasse. Yeah, I'm definitely voting with the Altdorfer bloc on this one. You gotta love The Little Knight in the Big Woods. 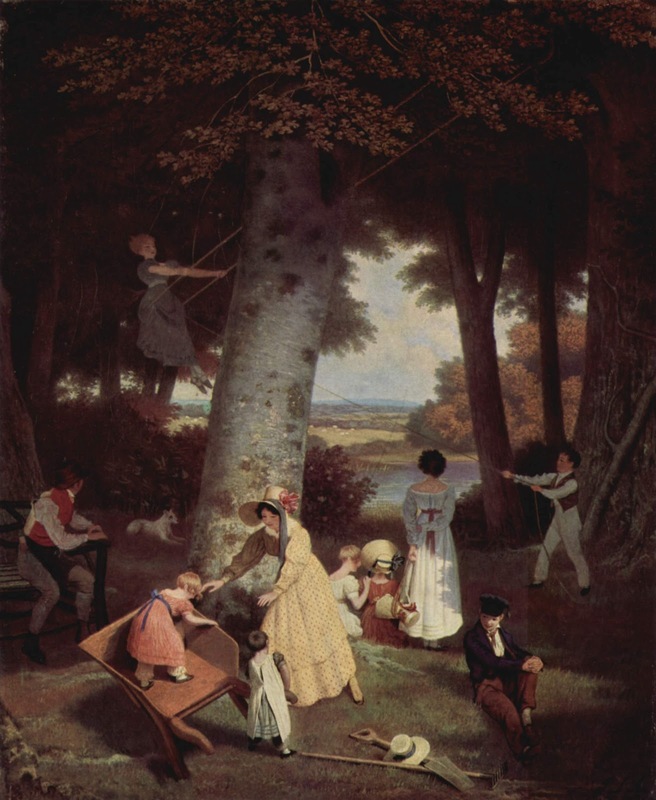 I like Agasse, though--maybe if the cutesy picnic scene had been a pack of wolves, he would have had me. 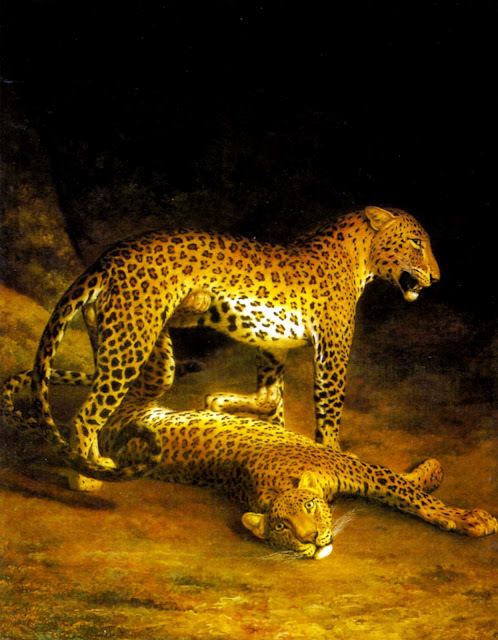 Agasse. 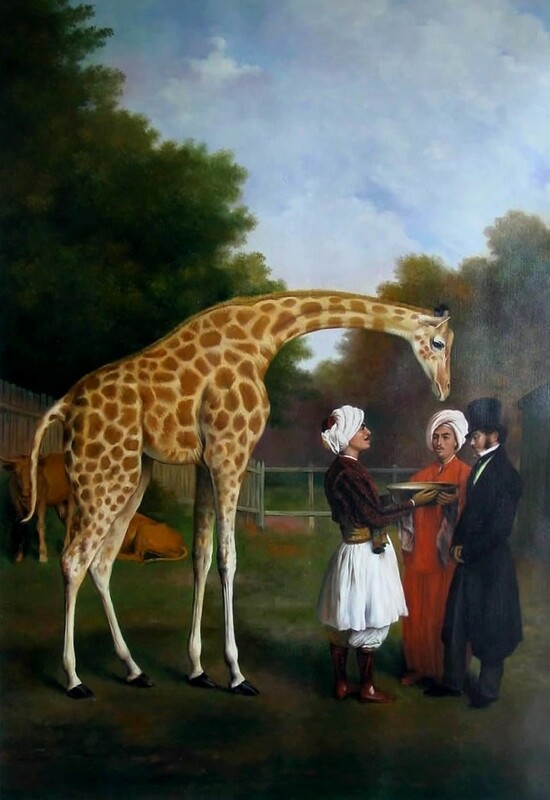 Love me some giraffes. I think I'm going to pull for Altdorfer here for the first entrant in the Round of 128. 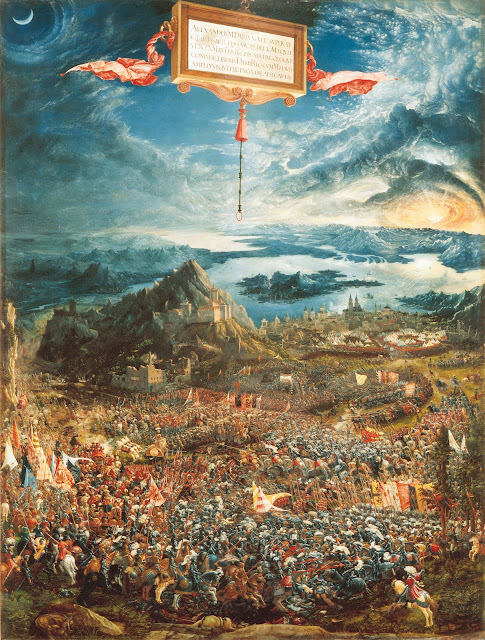 Here's an email vote for Altdorfer. This is hard, because I don't think I voted for either of these in Round 1. 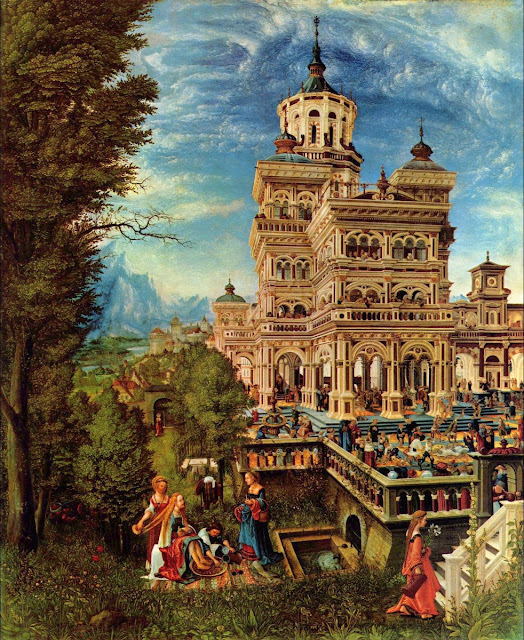 Altdorfer's epicness is awesome, but his other work is hit or miss. I'm not a huge fan of Middle Ages/Rennaissance painting anyway. 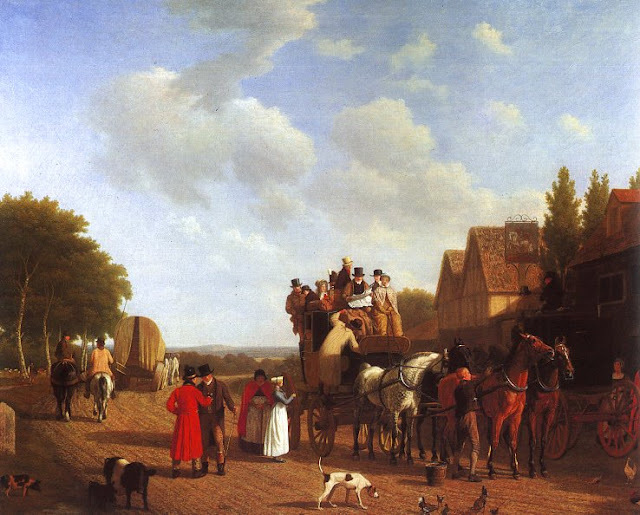 But his work is more dynamic (or maybe its complex athat I mean)than Agasse's, despite the fine execution of the latter. So, a grudging vote for Altdorfer. Altdorfer for me! I like the third piece. Even considering that Odduck and Alison are actually the same person, Altdorfer has more than enough votes to finally wrap this one up, passing Agasse with a score of 11-5. On to Round Four!